Player can sustain a rally with some high-speed shots and is beginning to develop directional control and depth with groundstrokes. Player is starting to recognize opportunities to attack short balls and come to the net. Player is developing more spin and power on the serve and seldom double faults. Player is applying basic strategy in singles and using teamwork in doubles. Recommended USTA tournaments are L2 or L1. Classes meet 2 times per week for 2 hours. Player has a very dependable game and executes most shots consistently, including at higher speeds. 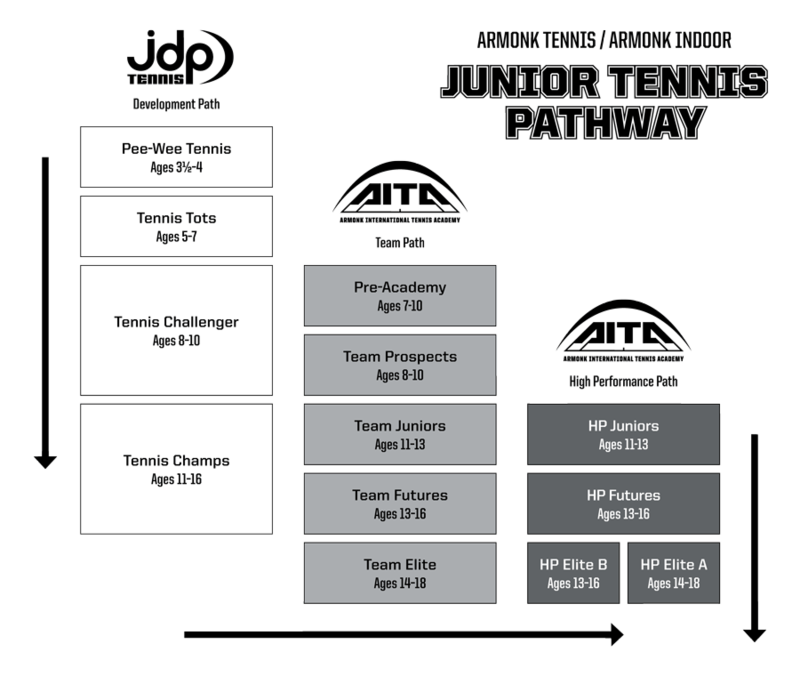 Player's court coverage and footwork are sound; Player has begun to master the use of power and spin and can vary depth of shots and game plan according to opponents. Player's first serve may produce some winners, and second serves are hit with good spin and placement. Player can be aggressive in both singles and doubles and covers weaknesses well. Recommended USTA tournaments are L1 and L1+. Player has a very dependable game and executes most shots consistently, including at higher speeds. Player's court coverage and footwork are sound; Player has begun to master the use of power and spin and can vary depth of shots and game plan according to opponents. Player's first serve may produce some winners, and second serves are hit with good spin and placement. Player can be aggressive in both singles and doubles and covers weaknesses well. Recommended USTA tournaments are L2 or L1. Player has good shot anticipation and frequently has an outstanding shot or weapon around which a game can be structured. Player can regularly hit winners or force errors on short balls and is capable of all shots. Player's first serve is an offensive weapon, and often allows rushing the net after the first or second serve. Volleys and overhead smashes are typically winning shots. Player is "match wise" and uses shots that have a high percentage of success in both singles and doubles. Recommended USTA tournaments are L1 and L1+. Player has good shot anticipation and frequently has an outstanding shot or weapon around which a game can be structured. Player can regularly hit winners or force errors on short balls and is capable of all shots. Player's first serve is an offensive weapon, and often allows rushing the net after the first or second serve. Volleys and overhead smashes are typically winning shots. Player is "match wise" and uses shots that have a high percentage of success in both singles and doubles. 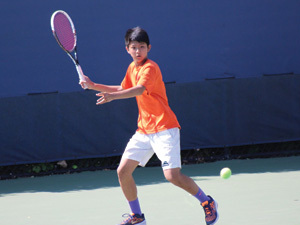 Recommended USTA tournaments are L1+, Eastern Sweet 16, and National Tier.